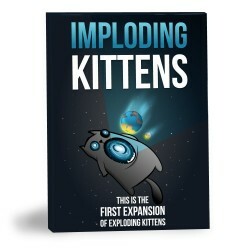 This is the first expansion pack of Exploding Kittens. 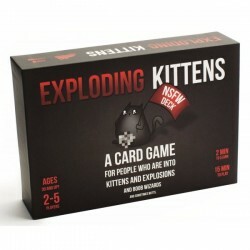 Includes 20 new cards illustrated by The Oatmeal. Expands the core deck from 5 to 6 players. 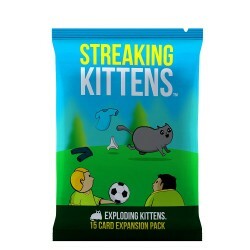 100% compatible with any Exploding Kittens deck. A Monster-Building Card Game From the Creators of Exploding Kittens. 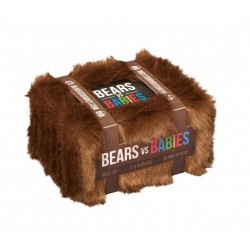 Family-friendly, highly-strategic party game for 2-5 players and only 20 minutes to play! Includes 107 Cards (2.5 x 3.5 inches), Playmat, FAQ sheet, Rule Book all inside a FURRY BOX! Grooming kit sold separately. 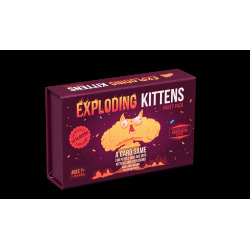 The second expansion to the record-breaking game, Exploding Kittens. Includes 15 cards and instructions that refresh the core game, adding a new level of strategy and hilarity. All cards illustrated by The Oatmeal. A family-friendly party game from the creators of exploding kittens. It's filled with crustaceans and secrets. That's seaaaa-crets. You get it. 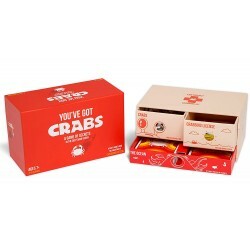 4 -10 players, ages 7+ Includes 78 cards (2.5 x 3.5 inches), instructions, foam turn Indicator, 28 crab points and a box with 3 drawer compartments.